The Press is Biased and Corrupt – So What? That might well be our response to the revelations now being manifested in the publication of the emails of Hillary Clinton and her campaign. Everyone knew in their hearts this to be the case so when it is now revealed to be fact, the feeling might well be “so what?” Yet this is not a proper response for it implies an attitude of indifference, and what we have learned about our press should disturb us greatly. What is the meaning, then, of maintaining freedom of the press? When the Virginia convention ratified the Constitution, those in opposition insisted that their ratification report include recommended amendments to be considered as changes to the Constitution once it was put into effect. The 16th proposal stated the importance they felt was the role of a free press: “…that the freedom of the press is one of the greatest bulwarks of liberty, and ought not to be violated.” The Anti-Federalist “Centinel”, on October 5, 1787, described the freedom of the press as “that grand palladium of freedom, and scourge of tyrants.” The aim was to ensure that the government would not interfere with the free discourse of ideas and information, even when it was critical of the policies of the government. In short, the press was to be a watchdog against government abuses and threats to the liberties and freedom of the people. Yet Madison wrote of an even greater threat to the destruction of this role of the press. In the closing remarks of his “Observations on the ‘Draught of a Constitution for Virginia'”, published on October 11, 1788, he stated “the Exemption of the press from liability in every case for true facts, is also an innovation and as such ought to be well considered. This essential branch of liberty is perhaps more in danger of being interrupted by local tumults, or the silent awe of a predominant party, than by any direct attacks of Power.” So for the press to be totally free, the concept should incorporate not only the principle of freedom from outside censorship, but also freedom from bias and collusion. Yes, deplorable indeed is the term that more aptly applies to our modern-day media rather than to the citizens whose freedom is put in peril by the failure of the press to fulfill its duty as a censor to those in power. Law, in a free society, is nothing more than the rules by which the citizens of a society have agreed (either democratically or through representation in a republican form of government) to live by so as to respect and preserve the inalienable rights of all citizens. In order for law to achieve this goal it must be applied equally and fairly to all citizens regardless of status or position within the society. If the rule of law ever fails in a society, then it will no longer be civil as it will ultimately descend into anarchy and then tyranny. What we are witnessing in our country as revealed in the leaked emails of the Hillary Clinton campaign, the DNC and other government agencies such as the FBI, is the utter contempt for the rule of law. From these emails we are learning that those individuals in these groups believe and act as though laws regarding their conduct in elections and government functions do not apply to them. As a result many in our society now have even less confidence in and therefore less feeling of affection and loyalty to the government. When this happens then more and more citizens will develop a lack of respect and adherence to the rule of law, and societal structures will begin to crumble. A final point that we are learning in these emails is just as alarming, namely that our media is, as many have suspected, not fulfilling its role as a check against government abuses and violation of law. The founders emphasized how critical it was in a free society that the press be the people’s watchdog in order for freedom and liberties to flourish. 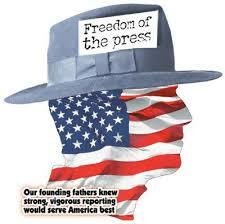 The guarantee of the freedom of the press in our first amendment means free from government control and censorship. Whenever a free press coludges with the government or certain ones in power, then it ceases to be a free press and instead becomes a propagandist arm of the government which is a characteristic of totalitarian regimes and not that of a free country. 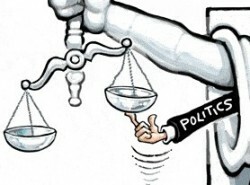 Justice is not served when those in government and powerful positions are not held accountable to the rule of law as other citizens would be. When the people’s designated watchdog turns on them, then all confidence in it and the government withers away. When that process runs its course then the question becomes, will people rise up and revolt to reassert their rights or will they meekly submit the the darkness of despair and tyranny. As King Solomon succinctly stated in the book of Proverbs, “By justice a king gives a country stability, but one who is greedy for bribes tears it down.” Far too many of our leaders and leader-want-to-bes should take that nugget of wisdom to heart. As we approach what I believe to be the most critical election in my 46 years of voting, the issue is being raised all across the land regarding the integrity of our election process, especially allowing those not citizens voting and the counting of the votes cast being manipulated. As to the second of those two concerns there should be no argument among any citizen, be they progressive or conservative, Democrat or Republican, that we want and deserve an accurate accounting of the votes. However, the issue of who should be allowed to vote is a sticking point among the left and the right. I’ve written before about the privileges of citizenship (Who Has Constitutional Rights? 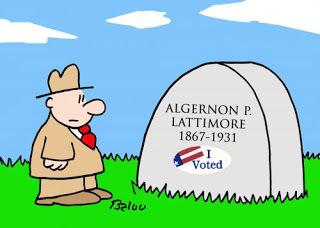 ), among which is the guarantee of being allowed to vote for our leaders and representatives. This is a privilege that is in all other countries restricted to those who are citizens of that country. For instance, if your employer sent you to Germany to manage a branch office in that country, do you think they would allow you to vote in their elections? Absolutely not. Why? Because you’re an American, not a German! Determining how a country will be governed is the prerogative of those who have committed and joined themselves legally to that country. Now the argument is made that anyone who pays taxes ought to be allowed to vote for those who will be spending that money. Let’s return to the scenario of you being a branch manager in Germany. Did you know that you will pay income taxes to Germany (as well as US taxes, but with an off-set)? Furthermore, you may or may not even have to pay into another country’s social security system, depending on whether or not there is a “totalization agreement” between the US and that country. Yet, despite this, you will not be allowed to vote in their elections! So much for that argument. Then there is the argument that requiring some form of proof of citizenship and picture voter ID creates a hardship on certain groups of citizens and will disenfranchise them is also bogus. To begin with, such identification is required to purchase restricted products, get on an airplane or enter federal buildings and there is no outcry about that being burdensome! Second, all of us, if we want something bad enough will find a way to procure it. If voting is important enough to someone and proof of citizenship to register and obtain a picture ID are required, he/she will find a way to comply, and if not, then they shouldn’t be voting in the first place. If those elected officials at both the federal and state level will not take the steps necessary to guarantee us a fair election, then they are no friends of liberty, America and not deserving of our support and vote, regardless of their party affiliation. 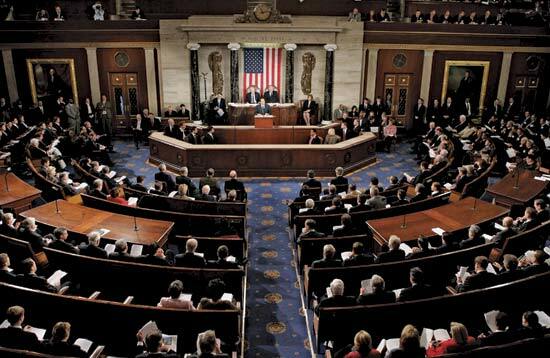 Do We Need More Representatives in Congress? Before you dismiss me as having lost my mind, let me take you back to the debate over the ratification of our Constitution over this very question. During the Constitutional Convention in 1787 there was much debate over how many representatives were to compose the House of Representatives. The final compromise was for each state to have no less than one representative and that there would be a limit of no more than one representative for every 30,000 citizens (which was a reduction in the original ceiling of 40,000 that had been proposed). As a result, for a population of around three million the first House of Representatives was set at sixty-five (interestingly, James Madison had argued for double that number). The number was increased as the population of the country grew until The Permanent Apportionment Act was signed into law on June 18, 1929 which set the number at our current level of 435, based upon the 1910 census. Those who opposed this Act argued it was unconstitutional, but the law stood, and the current method of reapportionment was adopted in 1941. Obviously the objection of Patrick Henry over the vagueness of the wording in the Constitution proved to be true. In Federalist #56, James Madison took on this argument of too few representatives, and in it made this observation: “It is a sound and important principle that the representative ought to be acquainted with the interests and circumstances of his constituents.” So the question is, given our population today and the number of representatives allotted, can this principle hold true? We now have a ratio of approximately 700,00 citizens for each representative. Consider the fact also that according to many recent reports as much as two-thirds of a representative’s day is devoted to fund-raising for his/her party as well as his/her own re-election efforts. Given also the amount of time spent away from their districts and the sheer number of constituents, how can they possibly fulfill Madison’s dictum? The answer is, they can’t, despite the best efforts of some to do so; it just isn’t humanly possible. This is part of the reason it is also hard for a challenger to defeat a well-entrenched, well-funded incumbent. I know from personal experience as I tried to do so twice, in the 2012 and 2014 GOP primaries. In my case I had to cover two and a half counties while holding down a full-time job and relying on a small group of loyal un-paid volunteers who also had full-time jobs. In such instances, reaching 700,000 people requires more time and money than an average citizen can muster, and so it is that those elected tend to be individuals who are well-connected or who have worked their way up the political ladder, building their name recognition and “war chest” of funds along the way. Such was not the intention of our founders in their vision of what the House of Representatives would be. By increasing the number of representatives you reduce this ratio, making it more likely that citizen-statesmen could arise and be more ” acquainted with the interests and circumstances of his constituents.” As for The argument that too many would make it difficult to pass legislation, etc, I say “Good”! We have too many laws encroaching upon our freedom and liberties that exceed the constitutional boundaries of the general government anyway. Admittedly, too many representatives would make the Congress unwieldy. What that number ought to be I do not know, but it should be more than one for every 700,000 citizens.